22,500 Brits fall victim to shed burglary a year: are you protected? 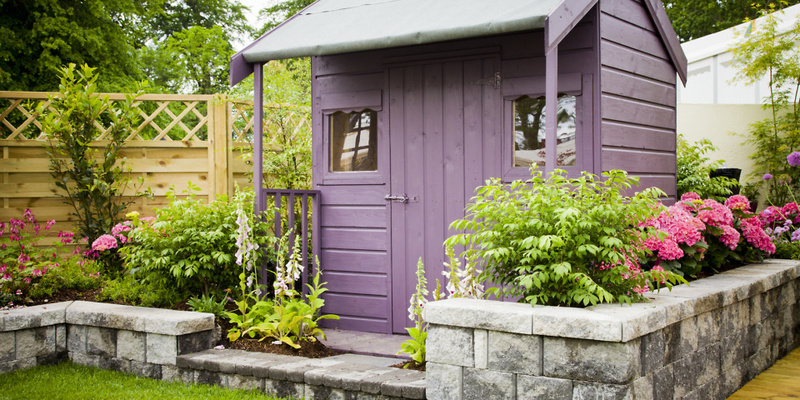 Will your home insurance protect your shed from theft? Over 22,500 instances of garden and shed burglary are reported in the UK every year, new data shows, but will your home insurance cover the cost of stolen items? Residents in Lancashire, Greater Manchester and Humberside experienced the highest number of shed related burglaries in the UK, analysis from Tiger Sheds revealed. Surprisingly one in six (17%) of Brits make no effort to secure their garden buildings from theft, leaving many vulnerable. Here, we take a look at the hot spots for garden and shed burglaries, as well as whether your home insurance will cover the cost. Households in the Greater Manchester area reported the highest number of shed burglaries – totalling 2351 in 2017, according to recent data from Tiger Sheds. A similarly high number of shed related burglaries were experienced in Lancashire, where 2292 reports were made. Humberside was the third most targeted area by criminals. A grand total of 2,001 incidents of shed and garden burglary was reported to the police constabulary in the area. Nottinghamshire Police and Cleveland Police received the fourth and fifth highest number of cases with 1,794 and 1,621 reports respectively. The table below shows the 17 UK burglary hotspots. Find out more: what is home insurance? How much does the average shed cost? The average shed costs around £1,150, according to Policy Expert, but the value of a shed’s contents will differ greatly between households. Sheds have evolved over the years, even as gardening tools and equipment have become more costly. As well as storing traditional items like garden furniture, gardening tools and bikes, sheds are now often used as office spaces, entertainment spaces and even home gyms. The table below shows how much some of the items you might find in a shed could cost. The prices quoted are taken from Which? Best Buy guides. If you’re a Which? member, you can simply click each item and log in to read our extensive range of reviews for each one. Does home insurance cover sheds? Theft from sheds and other outbuildings like greenhouses and garages are generally covered as standard by home contents insurance policies. But the amount of cover you’ll get for stolen items does vary, ranging anywhere from £1,000 to £10,000 depending on your provider and policy. It’s important to note that most insurers have a ‘single item limit’, which is the maximum amount they’ll pay to replace one specific item, regardless of where it is kept. This usually ranges between £1,500 and £3,000. So if, for example, you had a set of golf clubs worth £4,000, you may not automatically receive their full value if they were taken. If you want cover for specific valuable items, you should let your home insurance provider know so that they can tailor your policy. No matter how comprehensive your protection though, there are some items that you should avoid keeping in your shed at all costs. Documents with important personal information like a passports and bank statements could leave you at risk of fraud if you store them in your shed. It’s really important to check the minimum level of security needed on your shed to ensure that your provider pays out in cases of theft. Failing to meet the minimum standard or maintenance condition for your shed could result in your claim being rejected if you’re targeted by criminals. Making sure that your shed is well-maintained and in good condition is a great start in improving your shed’s security. Sheds that are worn and or suffering from damp could be seen as easy targets for burglars. Poorly maintained sheds could also put your contents at risk of damage from flooding and other weather related incidents. Investing in good quality heavy-duty locks can help prevent unauthorised access to your shed. Installing a shed alarm system, which retails at around £15, can also help beef up security and alert you to any intruders in your garden. If your shed has windows, obscuring the glass with netted curtains can help prevent people from seeing the contents of your shed. Finally locking all of your valuable items together for example, chaining your bike to your lawnmower, makes it difficult for criminals to take items out of your shed even if they are able to break in. There are a number of simple steps you can take to find competitively priced home insurance policies that protect your home and garden. It’s common for policyholders to overpay or underpay for home insurance because they’ve incorrectly calculated the value of their contents or the cost of rebuilding their home. Using tools, such as a contents insurance calculator can help you get an accurate idea of home much cover you need. Price comparison websites are a quick and easy way to see what home insurance deals are on offer and which providers offer the right cover for your needs. If you’re coming up to renewal, shopping around for a better deal, can also give you leverage for haggling a better deal with your current provider, should you wish to stay with them. While price is a key factor to think about when it comes buying home insurance, it’s really important to make sure that a home insurance policy actually covers you for what you need. Simply checking over the terms and conditions will make sure that; you get the right level of protection, your excesses are affordable and you have included any necessary add-ons or extras. Home insurance small print is notoriously opaque and has been found to baffle readers, so if you’re unsure about anything get in touch with the provider for clarification. Remember, once you’ve agreed to the terms of a policy, making a claim for something that’s expressly excluded will be impossible. You can also find useful tips in our home insurance guide and the short video below.